Think Protection has the best home alarm system at a price that can’t be beaten! A Think Protection home alarm is just $12.99/month and there’s no annual contract! Amazing security at a price that can’t be beaten – that’s the Think Protection advantage! Need another reason to get a Think Protection system? Well did you know that when you get a Think Protection home alarm system, you’ll be eligible for a reduction in the price of your homeowner’s insurance! Insurance companies love the additional level of security a monitored home alarm system provides and because of Think Protection’s enhanced services, you’ll save up to 20% by choosing us! Every Think Protection home alarm system comes with an insurance certificate, that proves to your insurance company that you have a Think Protection home alarm. 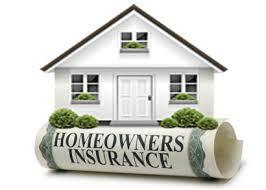 We want to protect your home and family and take this responsibility very seriously! Get the highest level of home security with Think Protection and save not only on your low prices with us but also with your home insurance!